At the personal injury law firm of Allen, Allen, Allen & Allen, we are proud to have a long history of handling cases referred to us by attorneys from across Virginia and the United States. We have successfully concluded, whether by trial or settlement, thousands of cases for other attorneys who have placed in us the confidence and trust to handle their client’s cases. Allen & Allen is the oldest and largest law firm specializing in plaintiff personal injury and medical malpractice cases in Virginia. Since its founding in 1910, the Allen Law Firm has been committed to aggressive advocacy for the rights of injured persons consistent with the highest professional standards and maximum client satisfaction. For more than 100 years, Allen & Allen has achieved record settlements and verdicts in personal injury practice areas including car/truck/bus crashes, traumatic brain injury, catastrophic injury, product liability, wrongful death and medical malpractice. Highly-rated Attorneys – We have attorneys who are listed in Best Lawyers in America, Virginia Super Lawyers, National Board of Trial Advocacy Certified Civil Trial Advocates, and who are AV peer review rated by Martindale-Hubbell. Our attorneys are trial lawyers with a proven track record inside the courtroom. Investigation – We have an in-house investigation department that includes former Virginia State Troopers. This allows for a prompt and thorough investigation in all of our cases. Support Staff – We have a dedicated support staff that includes certified paralegals, legal assistants and former claims adjusters from some of the largest insurance companies in the United States. Medical Malpractice Department – Our medical malpractice team includes accomplished attorneys with a long history of successful settlements and verdicts (including a $25 million verdict in Hampton, VA). Our attorneys are supported by a trained staff of nurse consultants and other dedicated professionals, and have access to the best medical experts across the country. Allen & Allen’s significant trial experience and resources enable us to be successful in even the most complex cases. Allen and Allen has eight offices conveniently located throughout Virginia. Our personal injury and medical malpractice attorneys also handle cases through the United States and are certified to practice in neighboring states like Maryland, West Virginia, North Carolina and the District of Columbia. This allows us to assist you with your case no matter where it occurred. In addition to providing exceptional client service, Allen & Allen has a long track record of delivering outstanding results. Since 2010, we have secured more than $650 million in verdicts or settlements for our clients. Our attorneys are relentless in the pursuit of a fair outcome for those we represent, and we will work tirelessly to deliver the same results to your clients. 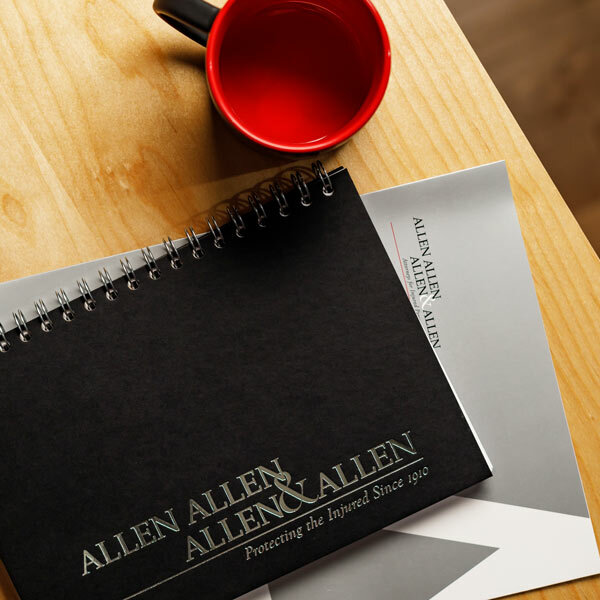 At Allen & Allen, we endeavor to establish a fee-sharing agreement in each case that is satisfactory to the referring attorney and as permitted by the Code of Professional Responsibility. The ethical rules in Virginia allow a fee division between lawyers who are not in the same firm so long as the client is advised and consents in advance. We welcome and encourage attorneys to contact us to discuss how we can be of assistance in their cases. Allen & Allen has the experience and the resources, both physical and financial, to deliver results for your personal injury and medical malpractice clients. Please call us toll free at 1-866-388-1307 to discuss your referral. About the Author: David M. Williams Jr. is a partner and personal injury attorney in Stafford, VA with Allen & Allen. He has many years of experience in a variety of personal injury related matters including car accidents, premises liability and wrongful death.